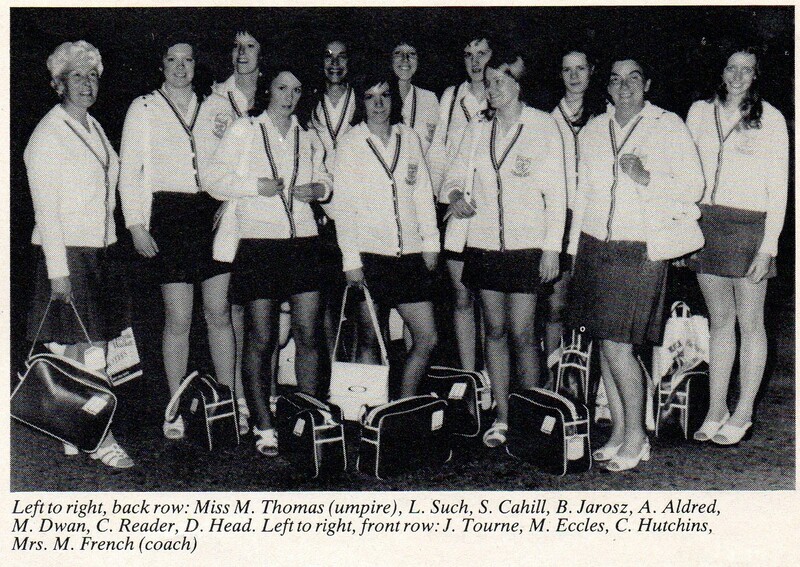 For the first time England sent a team of Young England players to tour Jamaica, coached by Mary French. They were on tour for 3 weeks, played 8 matches including 3 against the Senior Jamaican team and 2 against the Jamaican Under 21’s. They lost to the Jamaica senior team, but won all their other matches. The squad of 10 inexperienced players formed a versatile team able to cover all team positions in a variety of permutations. The average age was 19.